Aston Villa’s old Achilles heel of losing points in injury time seems to be back to haunt them. Two points dropped against Cardiff due to less than convincing finishing and now another point dropped against Newcastle due to Remy’s last-grasp winner. If only Villa were more clinical in front of goal, then perhaps the rearguard would be saved from being put under unnecessary pressure. The board talk of progress, but on the pitch, things now look very similar to the past couple of seasons. 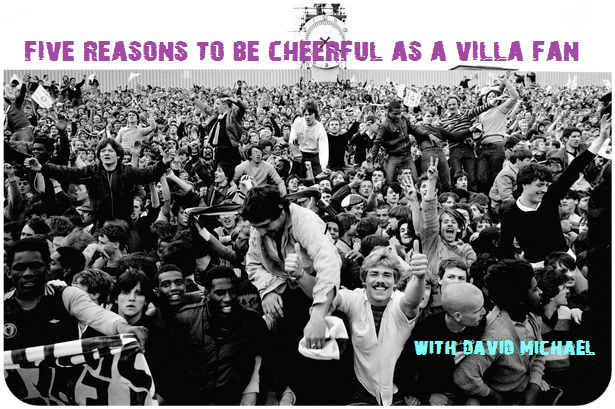 So what are the reasons for Villa fans to be cheerful about? 1. A break from sad and depressing long-distance treks back from away games after injury-time defeats; Villa’s next three games are all at home. Lets go glass half-full with that fact…three games on the trot to finally sort the home form out. 2. Lambert’s record against Villa’s next opponents, Norwich is good. His previous club are on the same points as Villa and are direct rivals for the drop. A win is crucial. The team have to play without fear or restraint, as the Canaries will be no pushovers as they showed beating Spurs at the weekend. 3. Jores Okore is a matter of weeks away from making a return for Villa. Expect to see him on the Villa sidelines in the second-half of March. I just wish he could play midfield! Speaking of which, is Gary Gardener better than some of the current crop playing in Villa’s midfield? Gardner on loan to Sheffield Wednesday is now starting games. He has a month to impress in the city of steel. If he come backs and then doesn’t get into this Villa line-up, then it’s time for sentimentality to be pushed a side and for Gardner to be cut loose. 4. If you’ve got a new Saturday job, or a hobby that takes up Saturday mid-afternoons, or you just like shopping, Villa are currently in a run of two months (Feb 8th to April 5th) where they won’t play a single 3 o’clock game on a Saturday. Football as we once knew it, is long dead. 5. Spring will be here soon. Less wind. Less rain. Less freaky weather. Better results?